Let’s face it – mom and dad have had EVERYTHING – 5 nappy cakes, 7 teddies, 10 Babygro sets and 4 sets of silver stuff. 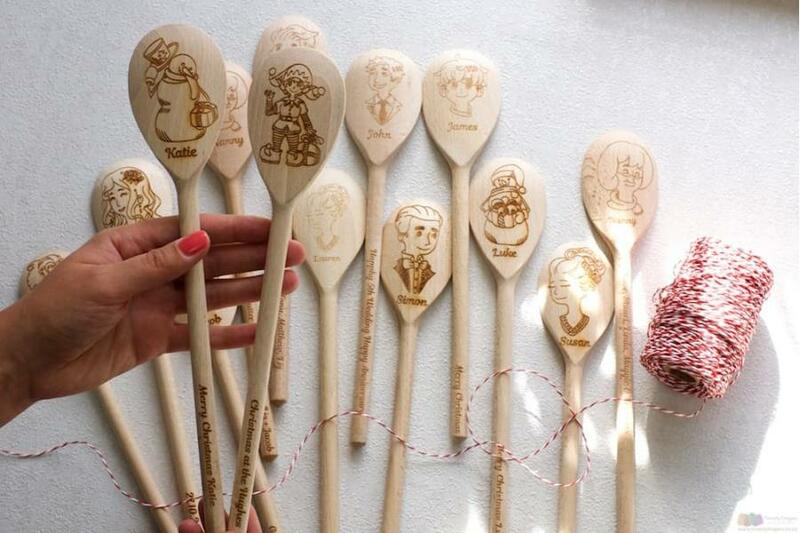 What’s a guy or girl to do when it comes to discovering a truly unique gift for baby? 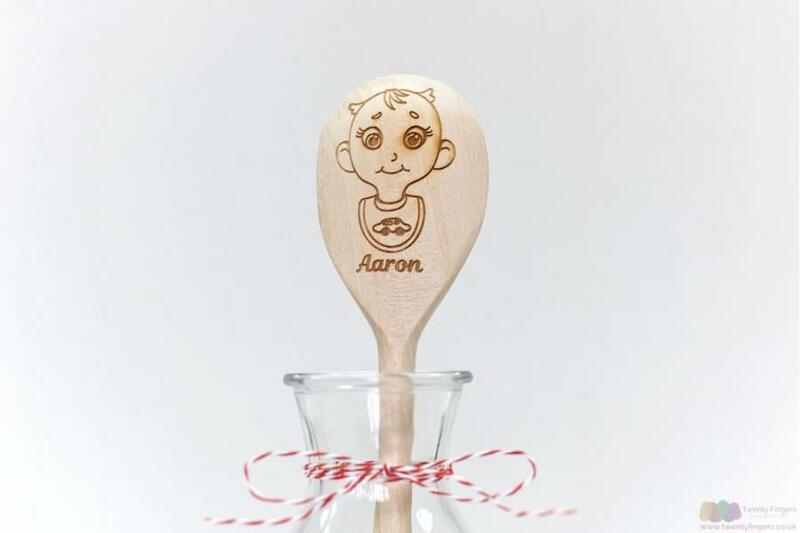 Meet the youngest member of our personalised wooden spoons family, celebrate the latest arrival and the pitter patter of tiny feet, with this Baby Boo spoon personalised with the little one’s name and any text on the handle. 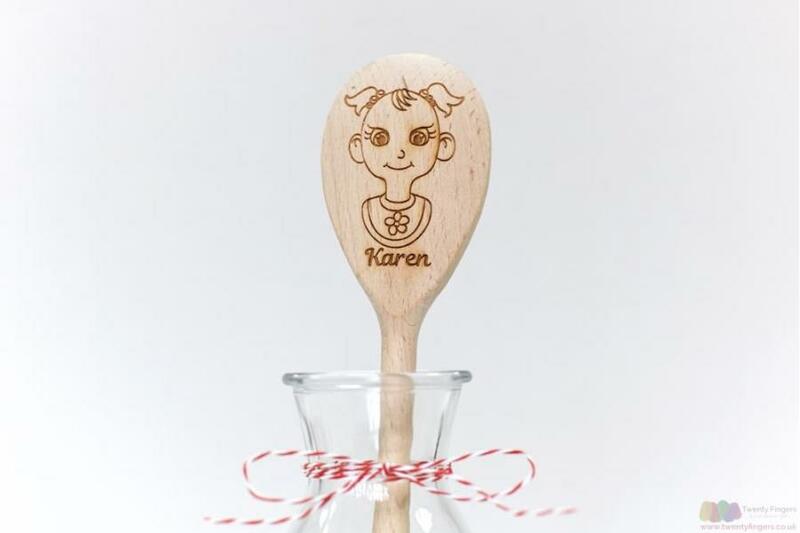 Perfect for placing on the nursery wall, or for popping into that treasured memory box, this gift is truly a unique idea with charm. Created from beech wood and carved based on your instructions, this little keepsake is cute and clever in equal measure. 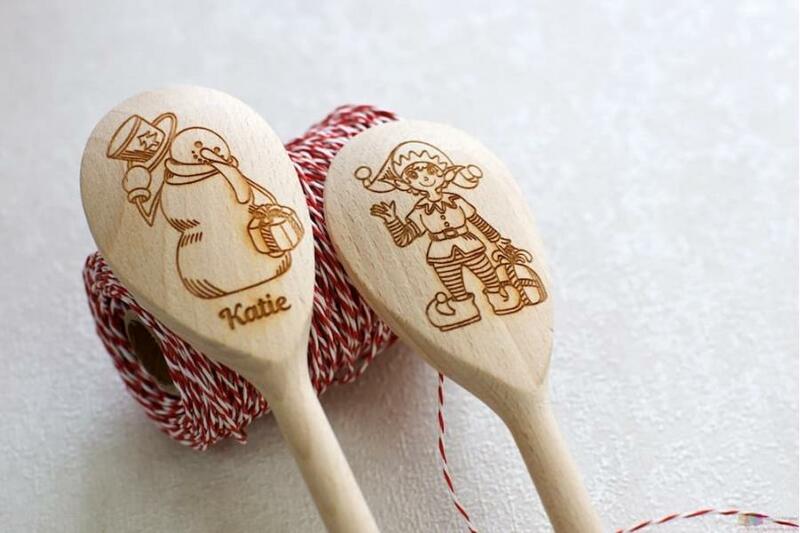 Plus, wooden gifts are wonderfully sustainable - for taking care of this planet for the newest generation of a family. Simply select your character (a bouncing baby boy or a gorgeous baby girl), then tap in their name (up to 13 letters in length) and complete your customisations by typing out a personal message to feature on the handle. That’s it. Finally, click add to basket and checkout. Your order will be with our workshop whiz kids in a jiffy. Wondering how long it’ll take to make it? 5 days. From start to finish. Yup, we’re pretty speedy round here. Questions, queries or simply need some inspiration or ideas? Our team can help – they have all the answers and plenty of creativity for choosing the right words for celebrating baby’s arrival.